While the Adobe Shockwave Player is not used nearly as much as Flash is, it is still being used. 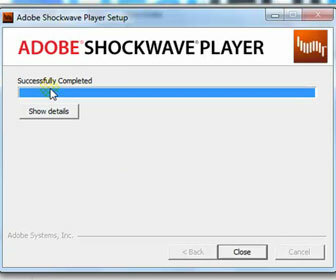 Adobe Shockwave is primarily used on sites that feature games and a few animation sites. The Adobe Shockwave Player is 100% free to download and use. The first time I was introduced to the Shockwave technology was years back when I discovered the very cool animation and games site NewGrounds.com. [adblockingdetector id=”2″]PLEASE NOTE: This tutorial will work on Firefox 3.5.x. I only named it Firefox 3.6 because that is the browser version I used in the tutorial. Adobe Shockwave install, Firefox 3.6. 4. If your Adobe Shockwave Player install has failed or is not working properly there are 3 main culprits. Firewall, Anti-Virus and Pop-up Blockers. The most popular ones are listed and how-to work around them.